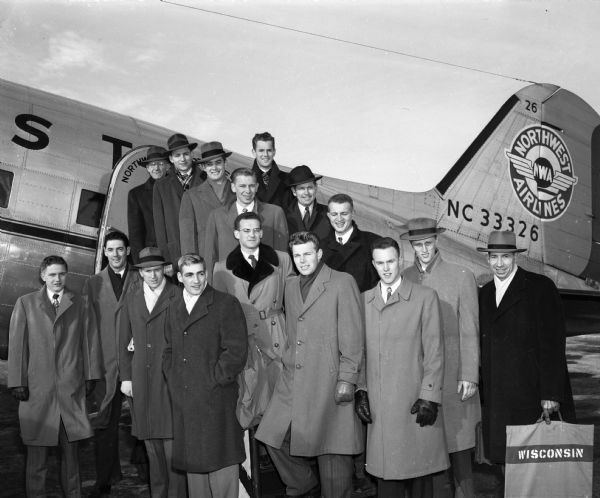 The University of Wisconsin basketball team in 'natty' attire posing in front of a Northwest Airlines plane. They are taking the plane to San Francisco on their way to play two games with the University of California - Berkeley team. One of two images. Published in the Wisconsin State Journal on December 18, 1947.